As the weather becomes cold and the holidays draw near, for many of our clients this can be a difficult time of year. We are grateful for all donations, monetary and items that may help our clients stay warm, find transportation for treatment and support returning to work. Please consider making a donation today. 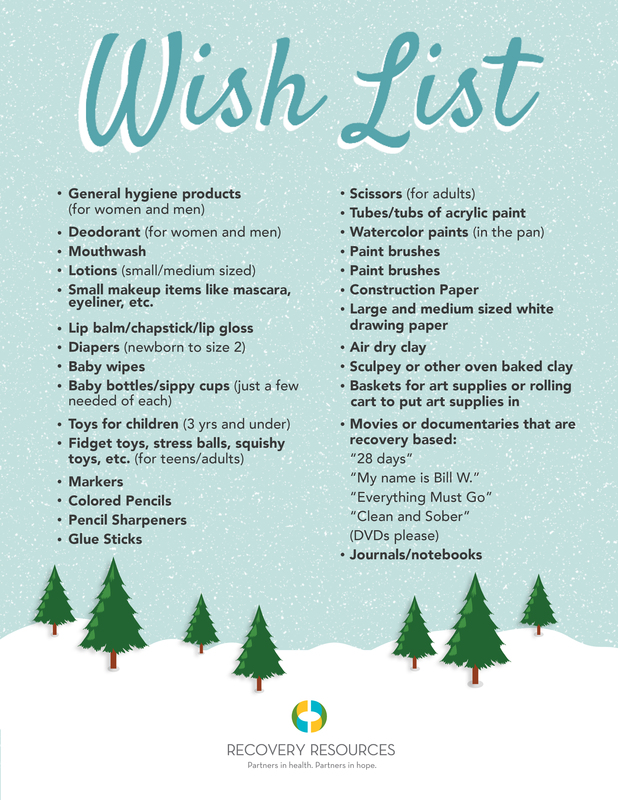 Donations can be dropped off at our Chester location (3950 Chester Avenue, Cleveland Ohio 44114) mailed or made online at recres.org/Donating. Please attention all donation items to Marketing and Development. Thank you and together we can make a difference. Do you have extra coats lying around the house? We'll take them! Through December 31st, we are collecting coats for our "Share the Warmth" campaign. Learn more details here.